Update on The Girls – 2012 – #16 – Mommy Stinks! 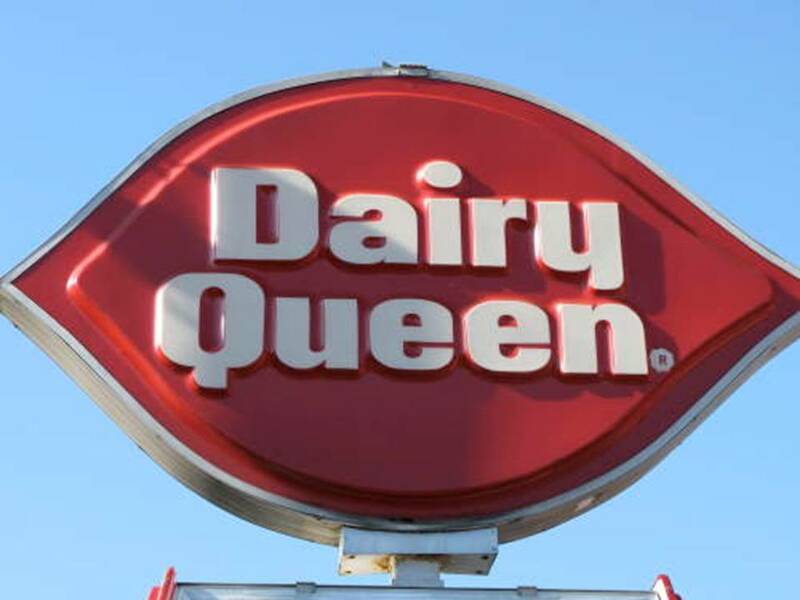 Dairy Queen was "an adventure in ice cream" for our family. Afterward, C was wailing, but we decided to stop @ Dairy Queen. The Mojowoman and I had Blizzards. She had Georgia Fudge (yum, she says) and I had Heath bar (mega yum). The girls had hot fudge sundaes. The results were a bit more mixed on that one; C enjoyed the sundae, but threw it on the floor (and wailed when she realized that it was gone). E liked her sundae, but soon started saying “down please,” so we decided that we had better “hoof it” back to the condo. The crowd in DQ was interesting (as always). There was a 50-ish couple and they made sympathetic noises about our Girls’ boisterous behavior. There were a couple of ‘neck boys hitting on some teen girls. One of the boys wasn’t wearing shoes and he was blocking the aisle with his bare feet. He was in The Mojowoman’s way as she tried to throw away our trash, so she asked him to move; he did so, but with a bit of ‘tude. Later, we took The Girls down to the beach & that was fun. C tried to crawl down to the surf. She acted as though her Dad was the meanest person ever for not letting her in the ocean. Difficult though it is to believe, E was the easier of the two. A dad – covered in tats – walked by with his two kids. He looked rough, but he broke out in a huge smile as soon as he saw E smiling at him. When we got back up, we gave them a very-sandy bath. 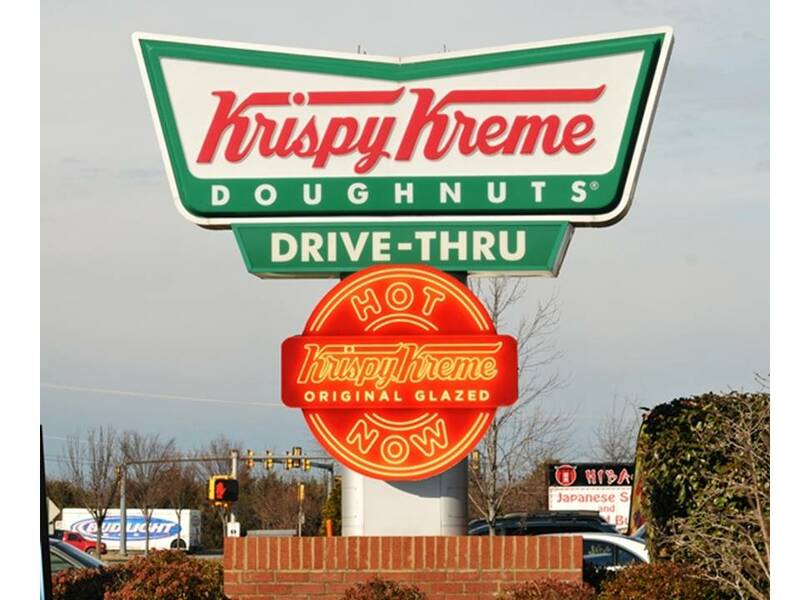 Krispy Kreme's "Hot" signs have the same effect as Pavlov's bell. Today, we headed back from the beach. When we went by The Krispy Kreme on Highway 59 the “Hot” sign was on indicating that they had fresh doughnuts. We couldn’t resist and all four of us had a doughnut. Per usual, there were no leftovers. Hmm… Dairy Queen Saturday and Krispy Kreme Sunday. I wonder why American kids are getting so big. When we got back to Mobile, we had to stop at the ubiquitous Wal-Mart to stock up for the week. We bought C her first pair of shoes. She can’t wear her big sister’s shoes because her feet are so tiny. C loves her shoes and runs all over our house in them. E gave an editorial on her mom's smell. This entry was posted in My Kids - E & C and tagged Dairy Queen, Intracoastal Waterway, Krispy Kreme, orange beach, orange beach alabama, Orange Beach Waterfront Park, Wal-Mart. Bookmark the permalink.